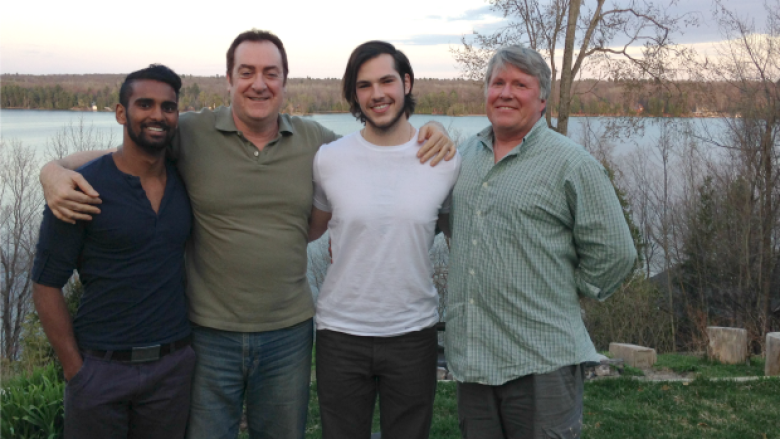 The story of the first gay couple in Canada to co-adopt two children. David McKinstry was desperate to be a dad, but as a gay man in the 1980's, his options were few. After a struggle lasting more than twenty years, a match was finally made with an orphan in India. Suddenly, a second child appeared, when a desperately ill mother approached David with a proposition. David and his partner went on to make history as the first gay couple in Canada to legally co-adopt children. Between then and now, there have been years of challenge, celebration and surprise. Alisa Siegel's documentary is called, "All The Way Home". Mail on Michael's essay "Let Them In", and on the poem "Home"
FULL EPISODE: Tweets and pols; Gay dads; German generosity; Speer's daughter; Women should stop saying "sorry"